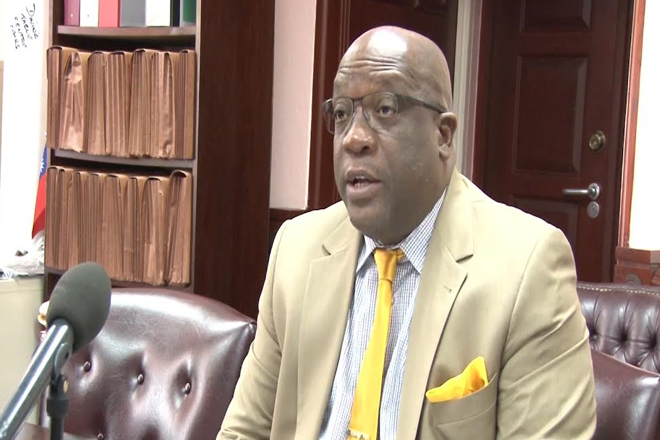 (ZIZ News) — Prime Minister, Dr. Honourable Timothy Harris along with other members and staff of the OECS Commission joined remotely via video conference to celebrate the launch of the new OECS website on Tuesday October 11. As he communicated via simultaneous two-way video and audio transmissions, Prime Minister Harris, in his capacity as Chairman of the OECS, during his opening remarks explained how the launch of the new website contributes to the Caribbean society. “The launch of the new OECS website, marks an important step in the OECS Commission’s continuing efforts to foster a knowledge based society where the citizens and residents of the OECS region can be empowered by the currency of information. It is a site for the general public and anyone young or old, professionals, students or even retirees who want to learn more about the important work being undertaken in their name by the OECS Commission,” the Prime Minister said. Prime Minister Harris also noted that the new website can be used as a tool that challenges the traditional form of communication. “The website is also a reflection of the increasing pursuit of the OECS to the increasing use of technology and innovation to overcome the traditional bottlenecks in how we reach out to those across the globe and ultimately those who can help influence and shape a better tomorrow”, the Chairman of the OECS added. Director General of the OECS, Dr. Didacus Jules during his brief remarks, referred to the launch of the new website as the new communication tool for a historical era. The website was officially launched at the end of the meeting which was held at the OECS Commission Conference Room in Castries St. Lucia. The newly launched website is www.oecs.org.